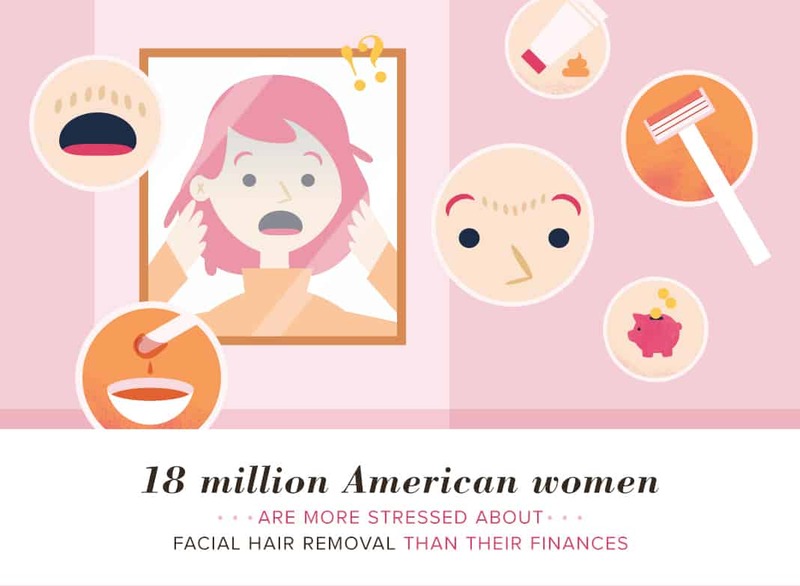 Many women deal with unwanted facial hair, but most probably don’t want to admit it. 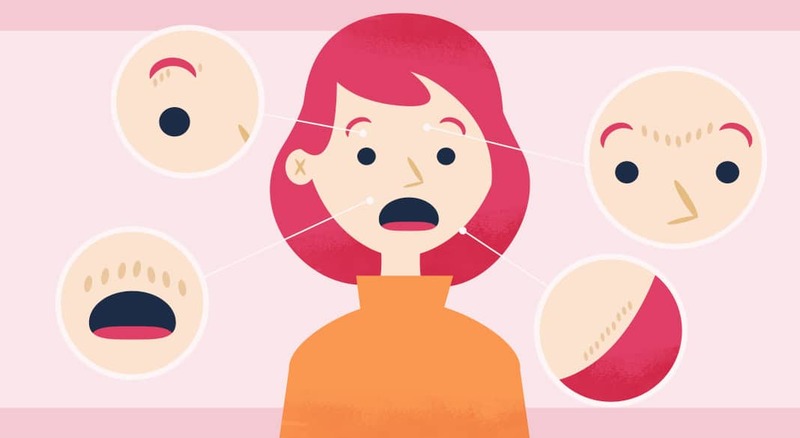 The most common cause of excess facial hair is genetics, but a doctor can detect if it’s caused by another condition, such as polycystic ovary syndrome, pituitary tumors, or congenital adrenal hyperplasia, some of which can be treated with hormonal medications. If the main goal is to get rid of those dark hairs above the lip or annoying cheek peach fuzz, there are several hair removal options. The choices can be daunting, expensive, and come with unwanted results. From temporary to permanent and wallet-friendly to costly, we break down the options for you. One of the most prominent and cheap options, shaving is mostly pain-free, but it’s only temporary and quickly results in stubble. Follow the same rules as with any other hair on your body: Never shave on dry skin, use a clean blade, and shave in the same direction as the hair growth. Use a warm compress on your face before shaving to open pores and soften hair to reduce the chance of ingrowns. Both provide longer hair-free results: Each method pulls the hair out of the follicle. Threading is an ancient method that uses cotton thread to pull the hair out from the root by running the knotted thread over the skin. It’s great for sensitive skin since it uses no chemicals and is about as painful as plucking. For waxing, reduce pain by exfoliating beforehand and pop a pain reliever (yes, aspirin can make it just a little more bearable). Facial hair creams (also known as depilatories) use chemicals that break down the hair bond, weakening it for removal. Be wary if you have sensitive skin since the chemicals can cause irritation. A calming oil or moisturizer immediately after hair cream use can help soothe the skin. Use creams at night before bed so the skin has time to calm down. Test on a small patch of skin on the arm before spreading a layer on the face. This method involves destroying the growth center of individual hairs with a shortwave radio frequency and a thin probe in the follicle. Modern electrolysis methods don’t cause pain, but rather a tingling feeling. Skin may be red for a short period of time after, but electrolysis usually doesn’t cause severe side effects. Treatments on small areas may only take 15 minutes. 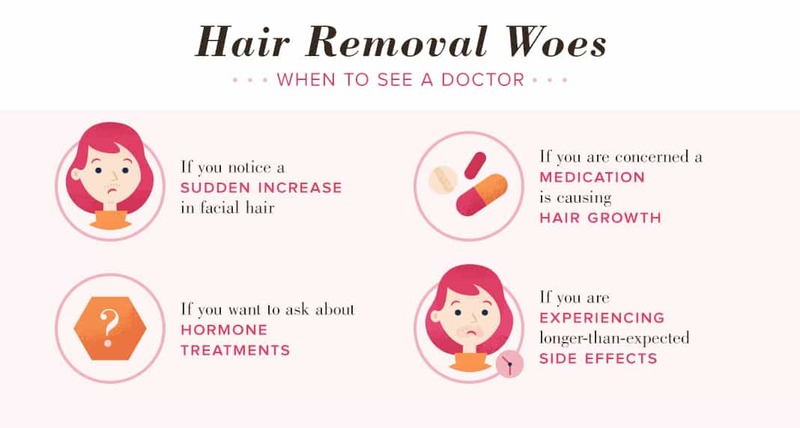 Unlike laser hair removal, this method works on all hair types (laser is best for darker, coarser hair) and is cheaper, but requires more sessions. One salon in New York City charges $42 for 15 minutes of electrolysis and $80 for laser on upper lip. Laser hair removal is also possible at home with Tria’s laser (it’s FDA approved!) and is worth the investment if you plan to use it over a long period of time and for multiple areas. But before trying anything new, especially on the face, make sure to test the device on a small, discrete area of the body, and consult a doctor for advice.